"Your writing training has made a visible and important difference to our Audit Team. We came to you wanting to reduce the time it took to write our reports, while also improving quality and clarity. We’ve achieved both in a surprisingly short time, and to an even greater extent than I had hoped for. "The benefits include greater productivity, improved staff morale, and – most importantly – the clarity needed for our Executive Team to make important decisions with confidence. I am happy to recommend Writing for Results to any organisation seeking to empower its staff in their written communications." One of the most powerful skills you can have in business is the ability to persuade other people to give you money. In fact, without it you don't have a business! Here's the good news - that skill can be learned. 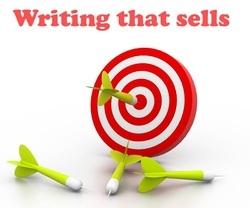 Writing that Sells is a fun, challenging workday that will put you in charge of your sales and marketing. I'm Ken Grace, developer of Writing that Sells. In a 30-year career, I've written for brands like Vodafone, Air New Zealand, ASB Bank, Holden, Westpac, AMP, Grant Thornton, AgResearch and many others. I'm a published author, one hell of a presenter, and passionate about communication. My view is that anyone can write effective sales copy. I guarantee you'll get your money's worth from Writing that Sells. If you do the workshop and disagree, let me know and I'll refund your fee. ﻿Can't make any of those dates? Send us your details and we'll keep you posted on upcoming workshops.